Oudh Australia brings you the Royal and Luxurious Oudh Oil Perfume Collection Pack. So that you can wear a unique fragrance every day, every occasion. Made from classy organic ingredients, the invigorating fragrance of Oudh Musk perfume has been crafted to make you feel fresh, charming, and confident. Also known as the king of flowers, Oudh Sampa is one of the most popular essential oils for perfume as it lends a very powerful floral note that easily maintains its presence even in very small amounts. Oudh Australia Perfumers spent over two years in research to create this luxurious Oudh Oil collection of premium unique fragrances for you cutting down from a humongous 150+ fragrances to start with. So that now you can wear a different Oudh oil fragrance every day and for every mood. Unique, Awesome, Stylish, Luxurious and Premium is how most of our users define this beautiful Oudh oil perfume collection pack from Oudh Australia. Discover the full Oudh Oil Perfume Collection of 5 natural, organic and alcohol free unisex fragrances by Oudh Australia – these Royal, luxurious and unique fragrance will leave you mesmerized for hours and not to mention the therapeutic health benefits associated with Oudh oils and natural fragrances. Now you can wear a unique fragrance everyday with Oudh Australia’s Oudh Oil Perfume Gift Collection Pack without leaving dent in your pocket. These Oudh Oil Perfumes are specially handcrafted with love for you so that you can Indulge in and experience the magical aromas from Oudh Australia. This serene fragrance will help you feel good about yourself. This enchanting woody Oudh perfume is filled with organic musky aromas of sandalwood oil, agarwood oil, rose, organic musk, and a delicate note of roasted earth soil. Oudh Australia brings you pure Oudh Oil blends with some of mother nature’s best fragrances that are unique, rich and luxurious. Our beautiful handcrafted packaging and cute little bottles are sure to steal your heart. A sultry and mysterious fragrance that exudes sophistication – Oudh Oil perfume is a must have for your daily collection, travel pack and a perfect distinguished gift for anyone on any occasion. Oud is said to be the most expensive wood in the world; Oudh oil’s value is estimated to be 1.5 times the value of gold, and it is sometimes referred to as ‘liquid gold’. For centuries, Oudh Oil has been treasured by royals, aristocrats and perfumeries throughout the history in many cultures around the world. 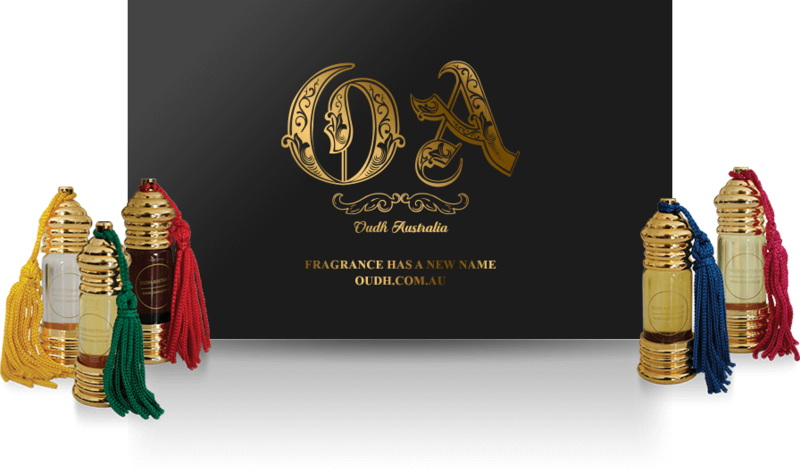 Oudh Australia brings you for the first time these special, unique, beautiful and luxurious Oudh Oil fragrances. Oudh Oil is often termed as “Liquid Gold”. Originating from Asam region of India, pure natural Oudh Oil costs more than the price of gold. Because Oudh Oil is in such high demand a lot of artificial farming practices are happening in many Asian countries where trees are drilled, and wood is harvested from immature trees. Technically It is so called Oudh Oil but it loses it’s authentic complex nature what it is known for. Oudh Australia brings you Oudh Oil fragrances from the original source region of Asam and only from mature and natural sources. All Oudh Perfumes at Oudh Australia are 100% Natural, organic and alcohol free. We also take pride in cruelty free Oudh oil fragrances. All our Oud fragrances are non-toxic, skin friendly, and alcohol free with least possible chances of any allergy. It has pleasant smell which keeps you fresh. All fragrances at Oudh Australia are unisex so that they can be used by both male and females. Some fragrances such as “Oudh Saffron” are stronger and woody while others like “Oudh Sampa” contains more of floral notes. Fragrance is a personal thing and respect the personal choice of every individual. We created the collection of our beautiful gift pack so that the whole family can use and enjoy the fragrances suitable to their personal taste. Oudh Perfumes from Oudh Australia are concentrated blend of pure natural oils and hence they last a long time. Our customers tell that a small dab in the morning can still be smelled on their body at the end of the day. As compared to alcohol based spray perfumes which evaporates relatively quickly our Oudh fragrances last 3-5 times longer than most spray based perfumes so that you can smell and feel good all day long. The Packaging is so handy that you can easily carry it with you anywhere to change or top up your scent on the go as per occasion. Oudh Australia has packed your personal aromatherapy in a small pack with several unique fragrances that can provide you multiple health benefits. Essential oils can help you with anxiety, stress, insomnia by helping you keep calm, relaxed, and feeling good about yourself to enhance your self-esteem. Give these pocket rockets a go with style and confidence. I loved the beautifully packaged Oudh fragrances…really awesome. Ultra-sophisticated with aromatic freshness. Longevity is pretty good, I can still smell it after 8 hours. Certainly, Thumbs up!!! They are so adorable and very long lasting. I also love the bottle which looks like a little treasure. Take a drop on wrist at night and I can sleep easily forgetting all stuff things of the day. Very refreshing fragrance. A unique gem in the world of organic fragrances. My favourite fragrance is exotic Oudh Masti infused with mild note of Oudh and Sandalwood oils. Pure bliss. Highly recommended. Are you new in the Oudh World? In addition, you will be the first to know about our offers, news, giveaways and special deals!